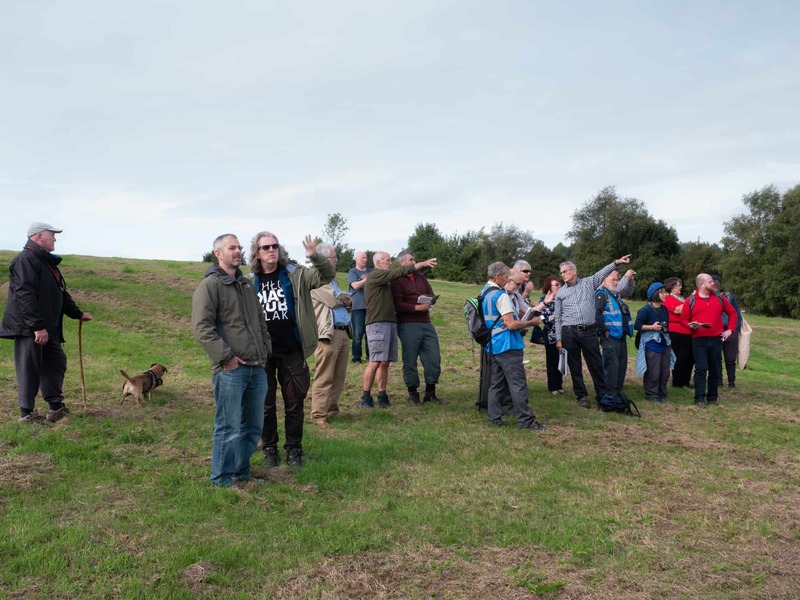 Guest writer Brendan Jackson reflects on our recent event 'Looking Back - a guided walk and talk over the Rowley Hills' led by Jim Rippin and Mike Poulton. If you thought the Rowley Rag was an old newspaper, perhaps of ill-repute, think again. Rowley Rag is the name of a volcanic dolerite stone excavated from the quarries of the Rowley Hills. We learn a great deal about this place today, tramping over hillsides that overlook the Black Country. The hills are actually four promontories - Turner’s Hill, Bury Hill, Portway Hill and Darby’s Hill - now a large area of grassland in the area, part of which is designated as Site of Local Importance for Nature Conservation as well as being a place of geological significance. In 1782, the stone here was chemically analysed a Dr William Withering of Birmingham (also a botanist, chemist, geologist and member of the Lunar Society). His results were passed on to the then President of the Royal Society, Sir Joseph Banks, by one Joseph Priestley (a fellow member of the Lunar Society and the inventor of soda water, among many other things). Particpants on the guided walk and talk. 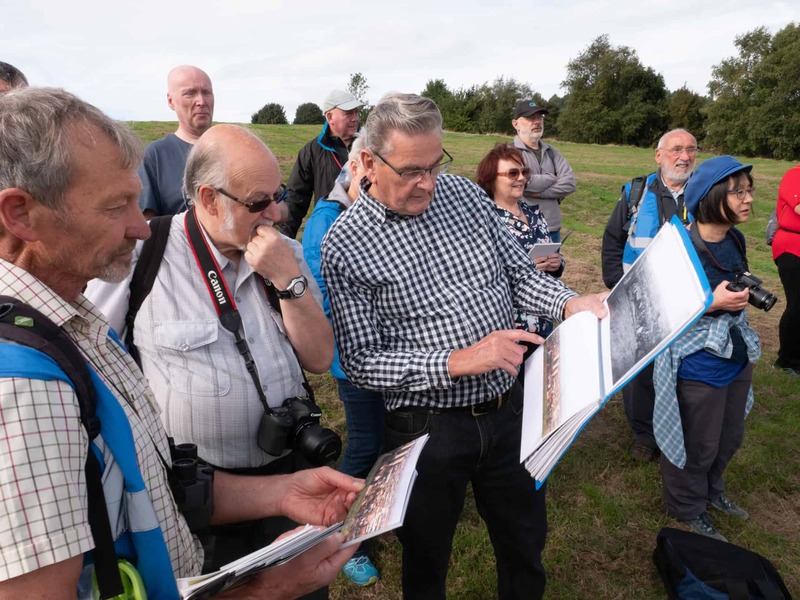 Jim Rippin (R) Terry Danials (C) and Mike Poulton (L) comparing archive photographs of the changing landscape. The viewpoints on the walk today are far-reaching, Turners Hill being the highest point in the West Midlands. 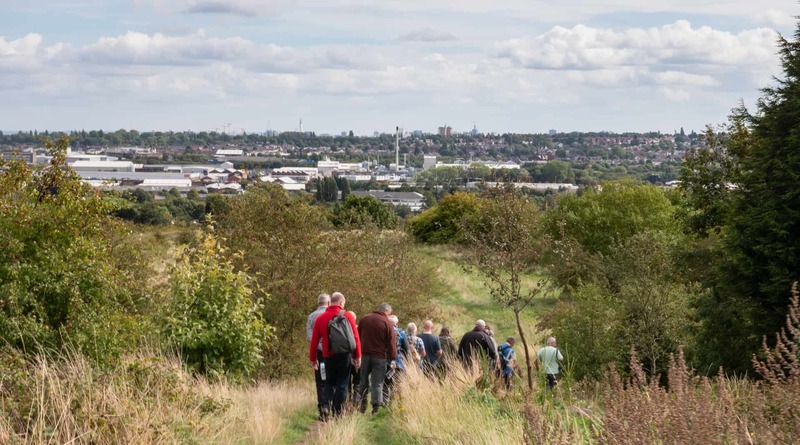 The ridge itself divides the Black Country into two parts, separating the Severn and Trent river catchments, and offers a tremendous panorama. In the one direction we can see the Albion ground, the Post Office tower in the centre of Birmingham, Barr Beacon, the centre of Walsall, the edge of Cannock Chase and is that Lichfield we can glimpse? 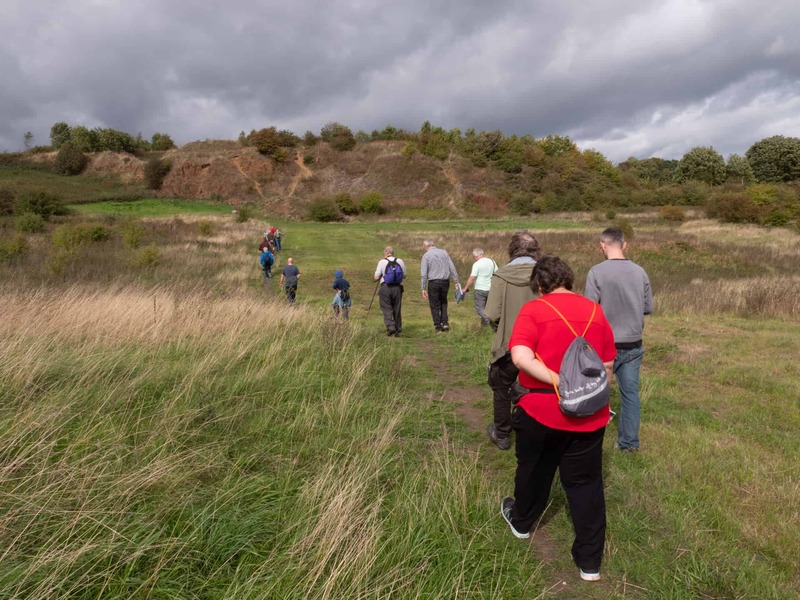 The guided walk-and-talk is based around a series of photographs taken by Jim Rippin over the last seventy years. He has made a selection of images to share with the walkers, which reveal the landscape as it was then. He has lived in the area all his life and has fond memories of playing in these hills as a child, then a place of intense quarrying - and before that mining. 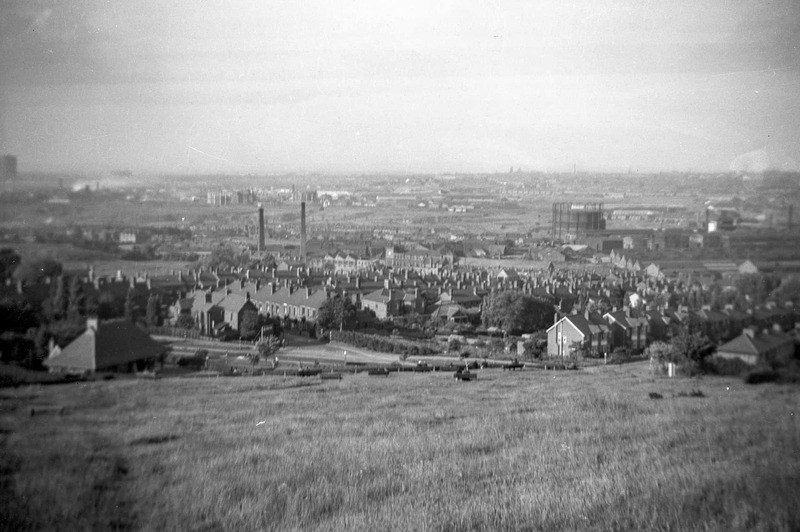 In 1875, there were one 26 collieries in Rowley alone. We savour the names, sourced from old maps: Ramrod Colliery, Samson Colliery, Lyecross Colliery, Randall Colliery, Newbury Lane Colliery, Rounds Green Colliery, Churchbridge Colliery, Lifter Pit, Bottom Pressure Pit, Top Pressure Pit, Dingle Pit, Topend Pit. It was a ravaged landscape. Thomas Carlyle wrote of it in 1824: ’A frightful scene... a dense cloud of pestilential smoke hangs over it forever... and at night the whole region burns like a volcano spitting fire from a thousand tubes of brick. But oh the wretched thousands of mortals who grind out their destiny there!’ There are no pikemen, blacksmiths, cranemen, hewers or banksmen amongst us today - though there’s a chap who used to work at Accles & Pollocks who vividly recalls the toxins pumped into the water-filled marlholes hereabouts. 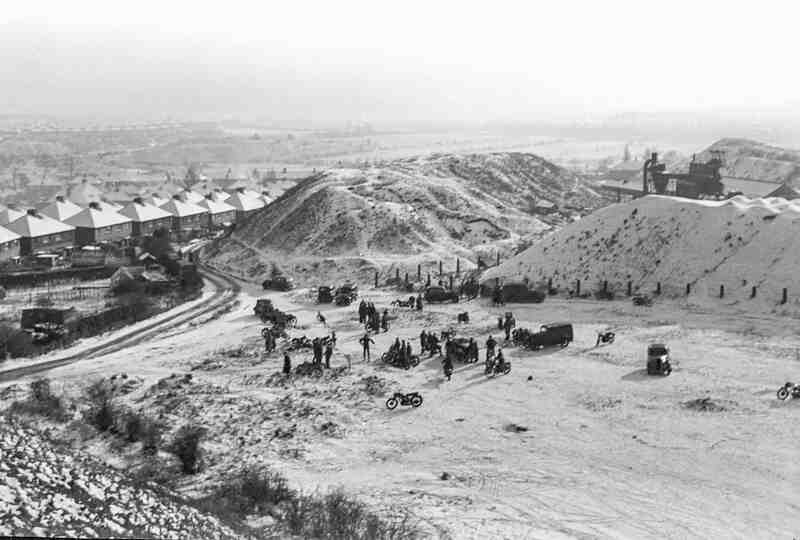 one of the massive marlholes left behind by quarrying in the Rowley Hills. From the Jim Rippin Collection. Mike Poulton, our other guide, is also a knowledgeable local. He has dedicated many years to helping document, preserve and celebrate the flora and fauna of this landscape. While Jim offers a social commentary, sharing his reflections on how the landscape has changed, Mike explains the importance of this place as at habitat for numerous butterfly and insect species, as well as wildflowers. As we look at a patch of grassland where the Samson Quarry used to be, where Jim recalls being dangled over the edge by his older brothers, then Mike explains that this landfill is over fifty years old, yet no trees grow here. 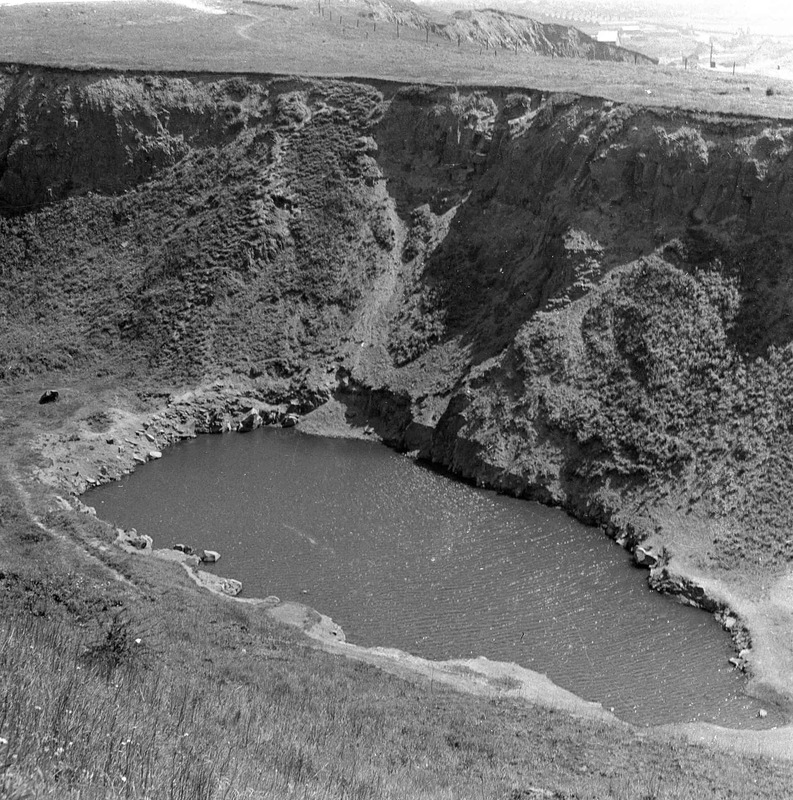 These old quarries were backfilled with waste, which included colliery spoil and blast furnace slag, and the surface of this one only has two types of grasses which, he says, you would usually expect to see in the first stage of vegetation, in the first 10 years or so - yet no shrubs or trees have taken root here. In the winter it’s marshy and some recall seeing pools of oily water with rainbows, which suggests that there is still something lingering in the soil underneath that inhibits growth. Scrambling Bikes over the Rowley Hills in Winter. From the Jim Rippin Collection. 1954. We end our two and a half hour walk at the site of the former Blue Rock quarries where Mike points out examples the igneous rocks with their vertical columnar jointing and ‘onion skinning’ which were formed as the molten mass cooled, contracted and cracked. He tells us this is the same type of rock that forms the Giants Causeway in Northern Ireland. According to the geologists, these basalts and dolerites were extruded in a molten state into the strata of the Coal Measures and Etruria Marls late in the Carboniferous period. Slowly cooling, they then formed this hard crystalline rock called the Rowley Rag, which has shaped and reshaped the landscape over the centuries. (The Romans were believed to have first excavated here). Though I’ve walked these hills myself in the past, I’ve learned a lot today, and enjoyed seeing a tremendous selection of photographs. One in particular stays with me - a black and white photograph taken on a winter’s day in the 1950s, looking down towards the Wolverhampton Road, the curves of a slagheap obscuring the Portway junction. 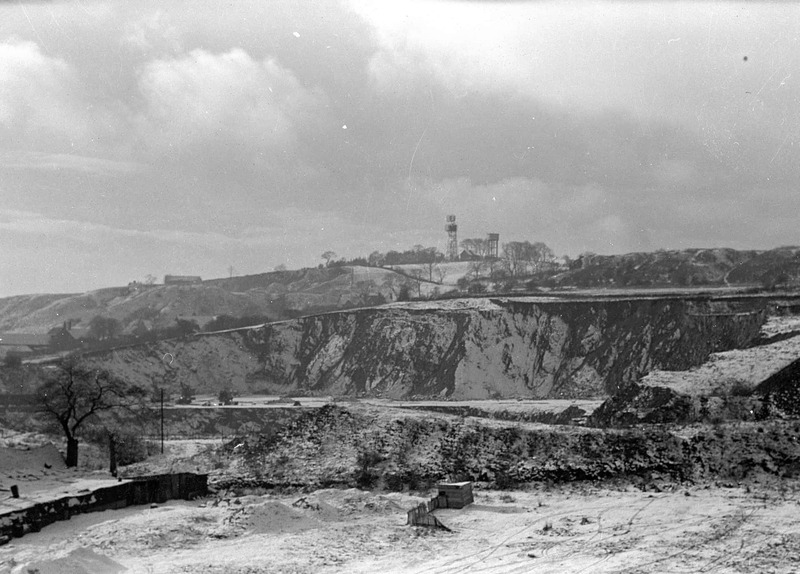 On the left, snow-covered roofs, away to the right a the dark outline of a blast foundry. 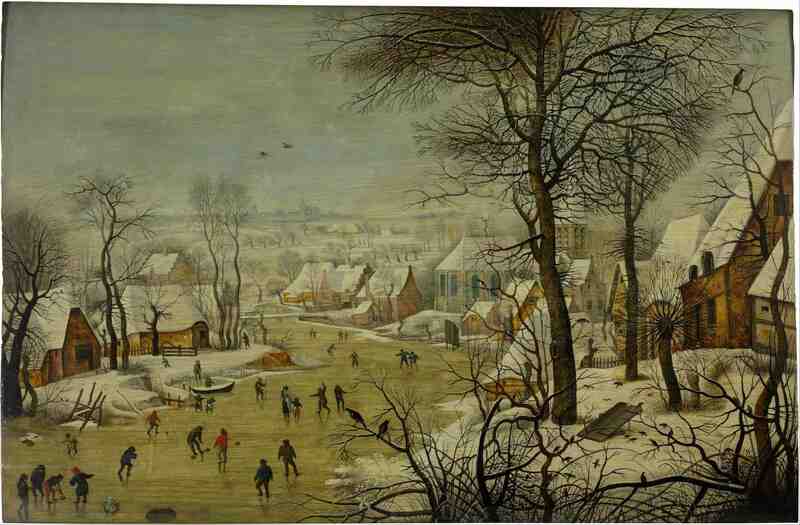 Dotted around the landscape in the foreground are little figures on scrambling bikes, the whole recalling a much earlier classical composition, ‘Winter Landscape with a Bird Trap’ by Pieter Brueghel The Younger. “Very accurate and well described summary of our walk”. Indeed. I really enjoyed the walk and it was interesting to look at the views, then and now. A great morning. Brendans piece captures all of it including the bits I missed and some added history. Thanks Brendan. It’s as if I’d been there. Which I wish I had been.